VMware released Fusion 10 earlier today, and introduced a new REST API. 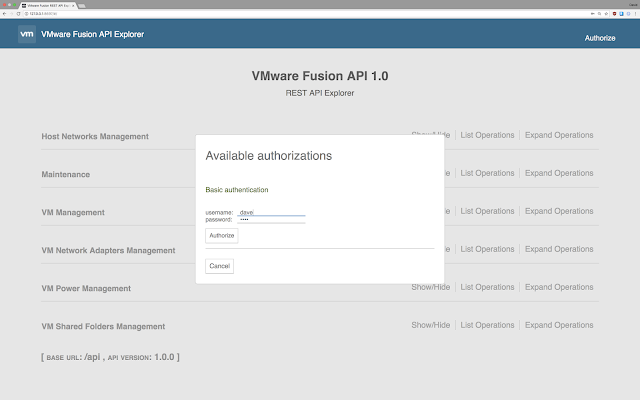 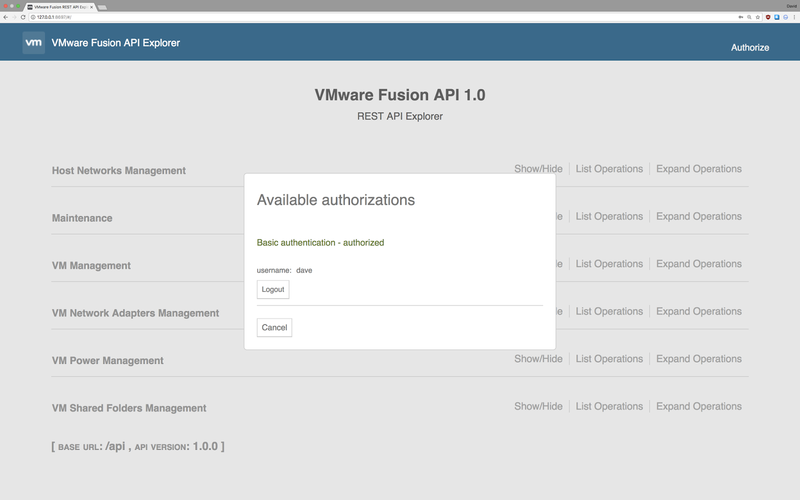 Unfortunately, they didn't include much of an introduction on how to use it..
To enable the VMware Fusion REST API, you first need to set a username and password. Now launching the service should work. 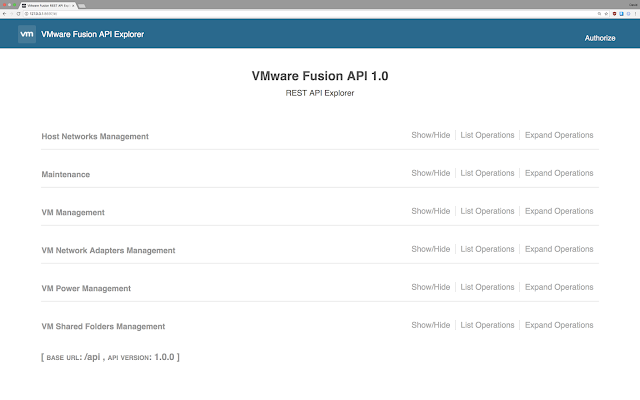 Using the Fusion UI while API calls are in progress is not recommended and may yield unexpected or unintended results. 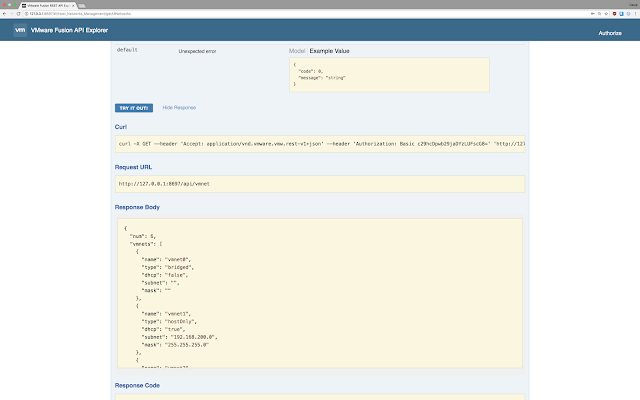 And finally, you can find the actual documentation at http://127.0.0.1:8697. 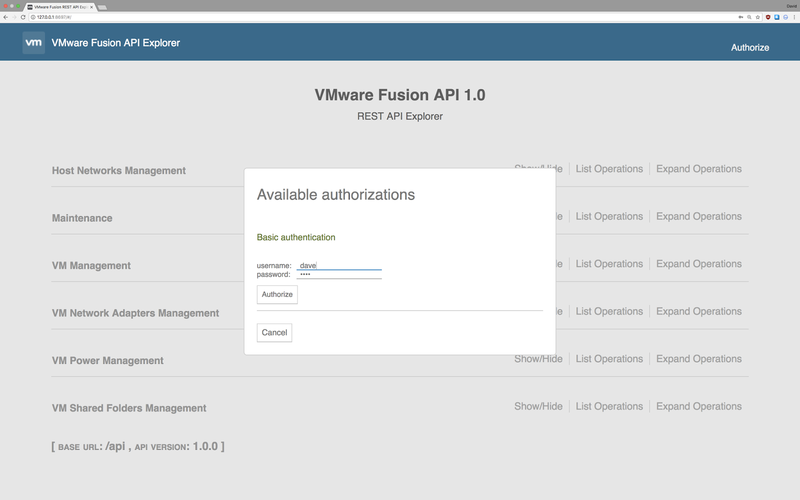 Logging in with your new username and password should work too.